Talent is one of the most precious commodities in the silicon industry and last week’s headlines saw some executives move between Intel and AMD. The chip triumvirate pay handsomely to retain key engineers and executives so usually there is always an interesting story behind a big move. I talked to some sources intimately familiar with the matter and realized there was a lot more to the talent war that had been hush-hush so far. Our story starts in November of 2016 with Martin Ashton. An extremely talented engineer, Martin had been working with Imagination Technologies for almost 26 years, when Intel made him an offer for Vice President, Core and Visual Computing Group. Martin, an engineering leader, quickly accepted the opportunity and was responsible for the initial embers of what will eventually become Intel’s full-blown GPU efforts. 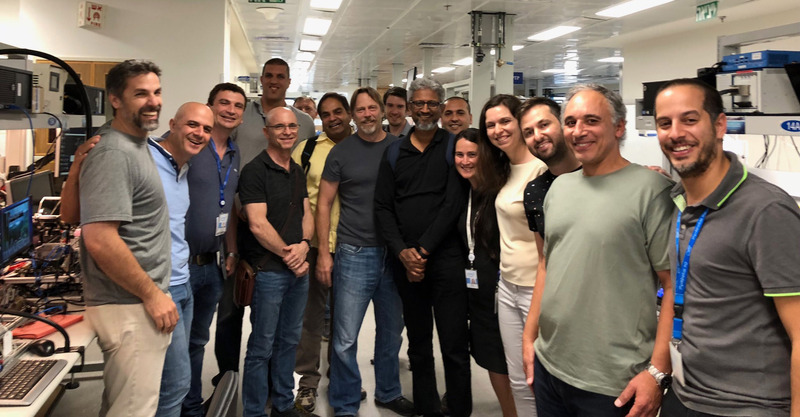 A group photo including Raja Koduri and Jim Keller. Martin had specialized in a very specific form of engineering – low power graphics -, was a storehouse of intellectual property, and had, I quote, “a boatload of patents”. He would have been instrumental to Intel if their scope had been limited to internal GPUs only. Fast forward almost a year after Martin joined the company and Intel unveiled its grand ambitions and masterplan: to join the two major graphics manufacturers on the planet and become one of the future ‘Big 3’. It was also around this time that Intel managed to snag serious engineering and marketing leadership from AMD – Raja Koduri and Chris Hook – while at the same time poaching Jim Keller from Tesla and bringing back Tom Forsyth. The dream team was back and it bled blue. David Wang, who had wanted a fresh start ever since Raja left, correctly saw this as the beginning of a massive talent war and wanted some wins of his own. It is around this time that Robert Gamma saw the opportunity to prove himself to David and Lisa and become Chief HR. Robert knew that if he wanted to make a splash, he had to take the talent from either Intel or NVIDIA. NVIDIA as it turned out, was a no go. See, the problem was that NVIDIA’s talent pool was locked down tight – the company’s stock had been soaring and most key employees had valuable stocks options that had yet to vest – and Robert knew that. With NV’s pool out of the question for at least a year, Robert turned to Intel, to find someone who had star power of his own and could go up against Raja and Jim Keller. Raja Koduri, I have heard on countless occasions, is a very charismatic personality and had quickly occupied the leadership role for Intel’s GPU efforts. Martin’s role, or so he felt, had become a bit sidelined. It was around this time that AMD, led by Robert, started courting Martin Ashton with offers and finally in June of 2018, was able to bring him onboard as Corporate Vice President. This resulting counterstrike is one of the impetus’ behind a recent press release with AMD promoting Robert Gamma along with Mike Clark and Darren Grasby to leadership roles. This was a huge win for Martin but his role in AMD is now more of an executive/leadership position than an engineering one. One of the reasons behind this is because his area of key competency, low power optimization, is actually already being overseen by Sam Naffziger – a celebrated microarchitect, and low power engineer, who had already shifted over to the GPU side from the CPU department at AMD. I have no doubts that Martin will be a great fit at AMD, but this is something that was quickly answered by Intel. Alexander Lyashevsky, a very talented engineer and a corporate fellow at AMD was hired as the Senior Director of Machine Learning Algorithms and Software Architecture at Intel. Jason Gunderson, another top CPU engineer and Sr. Director Program Managemen at AMD was brought on as Senior Director and Cheif of Staff Silicon Engineering at Intel. Radhakrishna Giduthuri, a top AI engineer at AMD who had spent 7 years in their software architecture and AI department was snagged by Intel as a Deep Learning Architect in the AI Products Group. Joseph Facca, is one of the key talent that was not taken directly from AMD but was approached form a different route. Joseph had previously been with AMD and led board design teams for ATI but had left in the September of 2016. He had been working in a much smaller company as an R&D expert and Intel brought him on board as an ‘industry leader’ to “create, design and deliver industry-leading discrete graphics products. There is another candidate, Mark Hirsh, who recently left AMD. He was the CVP of System Engineering at RTG and was VP Platform of Instinct and I have been told that Intel is currently in talks to bring him onboard as well. If the company manages to do that, combined with Raja, Chris, Jim Keller and Tom Forsyth, it would be one of the biggest talent hunts in this industry in the past few years. 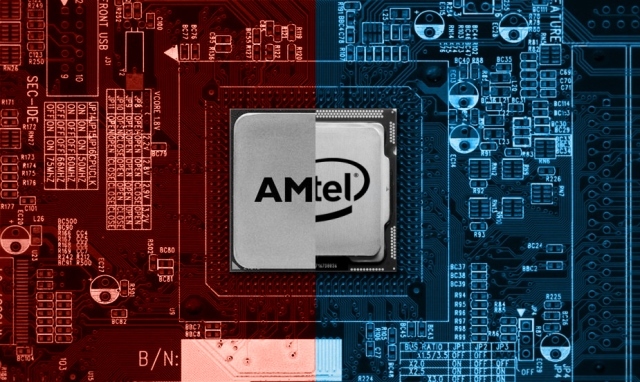 It remains to be seen how and when AMD will respond to this latest flurry of punches, but one thing is for sure, Intel is getting very serious about their GPU efforts. I have also heard rumors of them opening up shop in Canada that would be dedicated to this arm. AMD has already made a spectacular comeback in the x86 department, against all odds, and beating all expectations but now it also needs to win back some of the Radeon glory of olde.